SPRINGFIELD – (RealEstateRama) — Gov. Bruce Rauner today signed legislation to reduce burdensome licensing requirements for real estate businesses. The new licensing program is expected to save the state money by reducing a duplicative and unnecessary licensure structure that provides no benefit to the public and discourages business creation and growth. 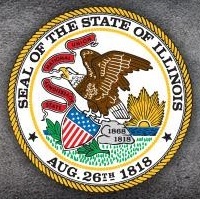 The bill was supported by the Illinois Department of Financial and Professional Regulation (IDFPR). Additionally, it clarifies that a licensed individual may establish a limited liability company to receive commissions directly, allowing them more flexibility in selecting a business entity that fits their needs. The new practice will also allow the individual to derive more favorable tax treatment than they would receive when operating as an individual. Finally, the legislation pushes back continuing education deadlines, establishes one basic standard for all business entities, simplifies the business entity license application, establishes common sense ownership requirements, and reduces barriers to industry. The governor also signed House Bill 5502 removing an unnecessary testing requirement to encourage new real estate appraiser trainees to enter the industry. 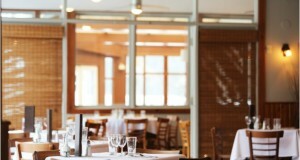 This will reduce a barrier to entry and increase labor market liquidity within the industry. The changes will reduce the regulatory burden on Illinois real estate related businesses and workers, while improving IDFPR operations. As of April 2018, there were 1,195 active branch office licenses, according to the IDFPR. 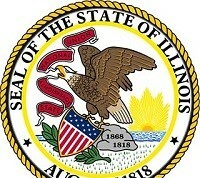 Illinois is one of 14 states that does not have a gubernatorial term-limit. The governor is commander-in-chief of the state's land, air and sea forces, when they are in state service. The current governor is Republican Bruce Rauner, who succeeded Democrat Pat Quinn in 2015.